FREE Coupon Class Nov. 17th at Southern Oaks Library! Are you ready to go beyond just taking coupons to the store? If so, join us for a FREE beginner’s coupon class at the Southern Oaks Library on Tuesday. Nov. 17th from 6:00 – 7:30 pm. 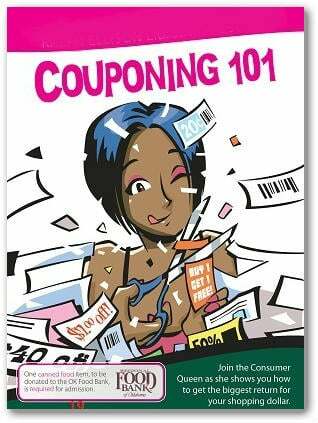 The Library is located at 6900 S Walker Ave, Oklahoma City, OK.
How to shop with coupons. The proper use of coupons. You can view a schedule of our up coming classes HERE.